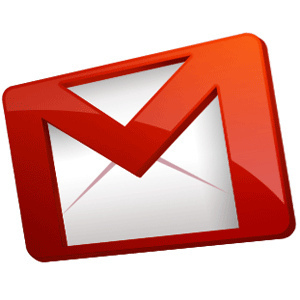 Home/Generic/Business/Email Marketing Tips To Follow By Small Businesses – Create Mails That Are Sure To Be Opened! Email marketing is one of the greatest ways of reaching out to customers wherever they’re located without the requirement of spending too much money. But at the same time, it is also a huge responsibility. Usually you won’t find people sharing their email addresses with just anyone and everyone. So, if you’re thinking of starting off with your company newsletter, here are few tips that you need to keep in mind. Check out the secret tips to design emails which are surely going to be opened. The letter should be easy to subscribe: Make sure you post a signup form on the homepage, Facebook page, blog and everywhere else where your fans and customers are active already. You may even wish to collect birthdays and names to invite them for joining groups but that doesn’t mean that you have to go crazy with the needed fields. Remember that a too long subscription form can scare people away. Inform subscribers what they should expect: Irrespective of whether you plan to send updates about the company or letters from the President or e-commerce sales or weekly tips, you should always inform the readers what they should anticipate from your letter. Offer them as much information as is possible so that they may decide on their own whether or not they wish to be on the list. A welcome email is helpful: It is always smart to remind people the reason why they’re included in the list so that they can be sometimes reassured that there are many good things in store for them. You can even send new subscribers a special offer as a token of love, appreciation and acknowledgement for their brand loyalty. The newsletter should fit your brand: The email campaigns should always match the look and feel of your brand. In case you’re using a template, personalize it so that it includes the logo and colors of your company, at least in the header. If the mails are consistent with the rest of the content of the company, the readers many feel even more familiar from the beginning. Maintain a publishing calendar: Remember that a regular newsletter is a commitment. Whenever you go several months without sending a single newsletter, your subscribers will start forgetting you and they’ll even delete your previous mails. Therefore, follow the above mentioned email marketing tips if you want to follow the email marketing guide while sending emails to your clients. Know more about online marketing tips for small businesses here.